Individuals are able to make tax-relieved contributions to registered pension schemes to the higher of 100% of earnings and the standard amount (£3,600), as long as they have sufficient annual allowance available. For 2016/17 the annual allowance is set at £40,000; however, this is reduced for high income individuals whose income exceeds certain thresholds. Any unused amounts of the annual allowance can be carried forward for three years. Employer contributions to registered pension schemes also eat into the allowance. When does the reduction bite? There are two triggers for a reduction in the annual allowance, both of which must apply for the allowance to be reduced. The first is that the individual’s adjusted income for the year is more than £150,000. The second is that the individual’s `threshold income’ for the year is more than £150,000 less the standard annual allowance for the year. Thus the threshold income limit is £110,000 for 2016/17 (£150,000 less the standard annual allowance of £40,000). The two measures of `income’ are potentially confusing. Essentially, `adjusted income’ is all income including pension contributions (both individual and employer contributions), whereas threshold income excludes pension contributions. Where the individual has both adjusted income of more than £150,000 and threshold income of more than £110,000 for 2016/17, the annual allowance of £40,000 is reduced by £1 for every £2 by which adjusted income exceeds £150,000. The maximum reduction is £30,000, meaning that the minimum allowance for 2016/17 is £10,000. This will apply to anyone with adjusted income of more than £210,000 (and threshold income of more than £110,000). Malcom has adjusted income of £180,000 in 2016/17 and threshold income of £140,000. The total of his individual and employer pension contributions for the year is £40,000. As his adjusted income is more than £150,000 and his threshold income is more than £110,000, his annual allowance is reduced. His allowance is reduced by £15,000 (50% (£180,000 - £150,000) to £25,000 (£40,000 - £15,000). However, his pension contributions for the year are £40,000. This is more than his annual allowance for the year of £25,000. 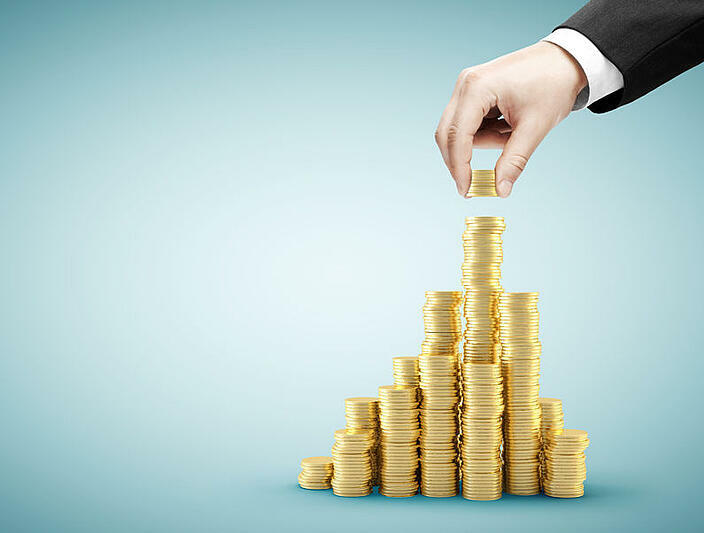 Thus, unless he has sufficient unused annual allowance brought forward from earlier years, he will suffer an annual allowance charge on contributions in excess of his available annual allowance. Tip High earners should check the impact on their annual allowance before making pension contributions in 2016/17 as they may inadvertently trigger an annual allowance charge. Please get in touch with us at Inform if you need further advice on the Pensions Annual Allowance or for any other tax related matters.